Watch this short video to get to know Veggie Clock. 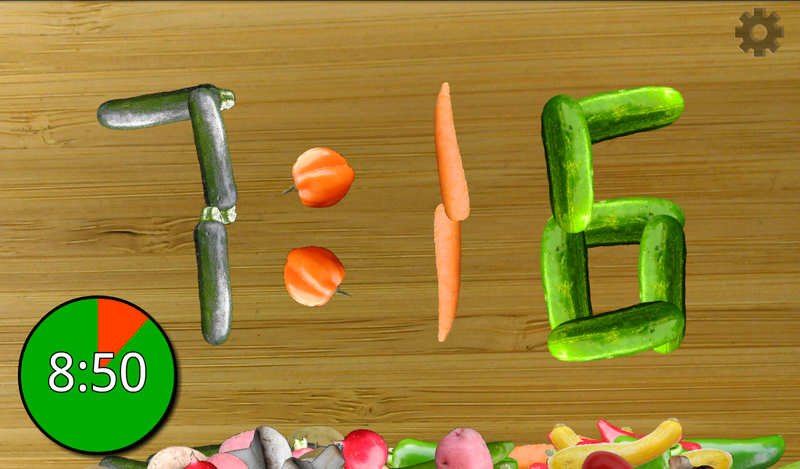 Veggie Clock is fun for kids & it helps them learn responsibility. Veggie Clock is more than a clock. 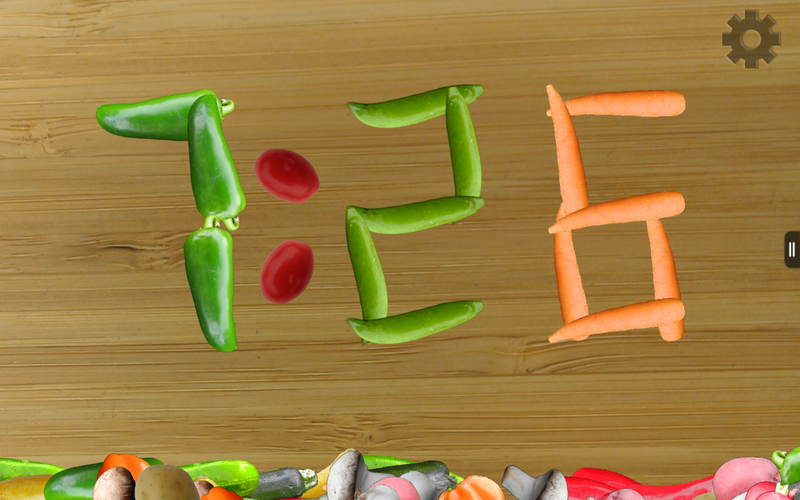 It’s a wholesome, positive app that makes veggies fun. Playing with the veggies brings everyone a smile. You tap & drag the veggies. They spin, wiggle, grunt and giggle. Kids learn Responsibility as they monitor their own tasks and even set a morning alarm. 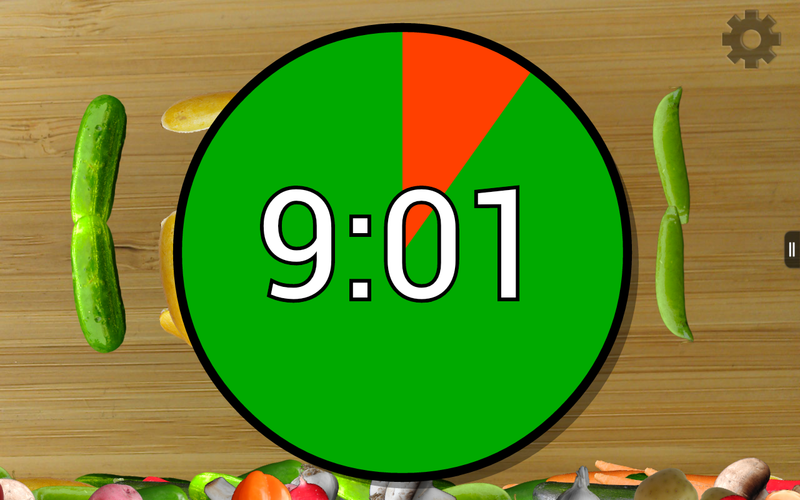 You can count on Veggie Clock’s simple timer and alarm – they ring whether the app’s running or not. Veggie Clock keeps vegetables on your mind, encouraging a healthy lifestyle. And it makes some kids (the author’s at least) want more veggies. Available now on Google Play, Amazon Appstore, NOOK Apps. WhitneyApps is Steve & Eleanor Whitney’s indie app business. With 20+ years of programming experience and three kids (a.k.a. “the lab” ;-), we can make some nice apps! Find us at WhitneyApps.com, Facebook, or Twitter. We hope you love Veggie Clock as much as we do. 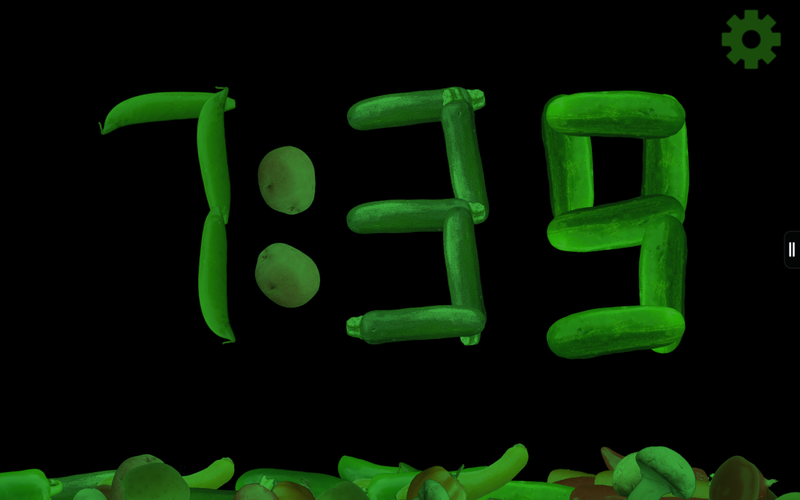 Here’s one version of Veggie Clock’s main screen, but it’s different every time! 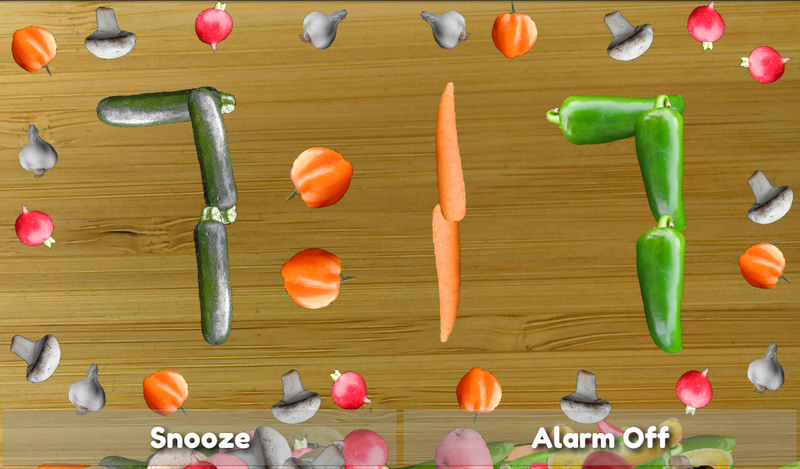 Veggie Clock’s visual timer is great for kids and also visual thinkers! When the alarm rings, the veggies dance! Want to see the timer from across the room? Night mode? Or night vision mode?